No Comments, Ashton Kutcher Photos, by sms4send. 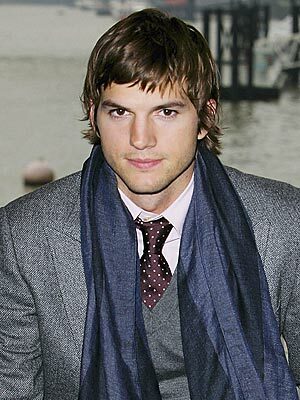 Ashton Kutcher left the University of Iowa behind for New York when he won a Fresh Faces of Iowa modeling contest in 1997. After a brief turn strutting for Calvin Klein, Kutcher landed his breakthrough role as airhead Michael Kelso in That ’70s Show. 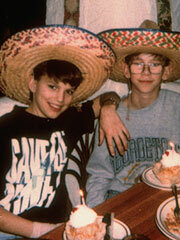 In Cedar Rapids, Iowa, Larry and Diane Kutcher welcome the birth of twin boys. Christopher Ashton Kutcher follows five minutes after his fraternal brother Michael, who was born with a mild form of cerebral palsy. In the middle of his parents’ divorce, Kutcher’s twin brother Michael, 13, receives a life-saving emergency heart transplant after suffering from a viral heart inflammation and going into cardiac arrest. “Ashton never left my side,” Michael, now healthy, later tells PEOPLE. “He showed me the love one brother has for another.” Two years later, Kutcher’s mom relocates the family – the twin brothers and older sister Tausha – to Homestead, Iowa, where they eventually move into a new house with stepfather Mark Portwood. While studying biochemical engineering at University of Iowa and working in a General Mills factory sweeping Cheerios dust, Kutcher enters the Fresh Faces of Iowa modeling contest and wins a trip to New York City to pursue a contract with model agencies.